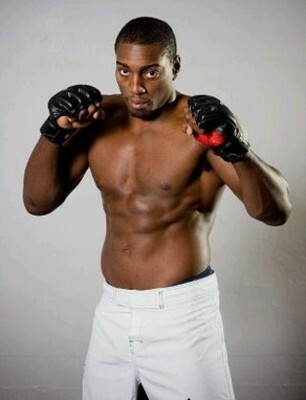 UFC 133 headliner, Phil Davis, bows out from his match against Rashad Evans due to knee injury. Just three weeks before his scheduled bout for UFC 133, Phil Davis withdrew from the match due to knee injury. He was supposed to enter the Evans vs Davis match, undefeated, and with just one step away from the light heavyweight championship shot. Unfortunately, Phil Davis will be seeking his opportunity for the title on a later date. The Evans vs Davis bout came into action, following light heavyweight champion – Jon Jones’ – withdrawal. With one fighter out of the lineup, UFC hasn’t announced any replacement to face Rashad Evans yet. More UFC 133 updates are sure to come, so just keep it posted here at Fighting Insider. With UFC 133: Evans vs Davis fast approaching, the complete fight card is now all set. Following the realization of UFC 132: Cruz vs Faber 2, UFC 133: Evans vs Davis is coming quickly. The upcoming tournament will take place on August 6, Saturday night, at the Wells Fargo Center in Philadelphia. UFC 133: Evans vs Davis will showcase the return of “Suga” Rashad Evans against Phil Davis in a light heavyweight showdown as the main event. The said event also features the former K-1 superstar, Vitor “The Phenom” Belfort, as he faces Yoshihiro Akiyama in a middleweight mash-up. 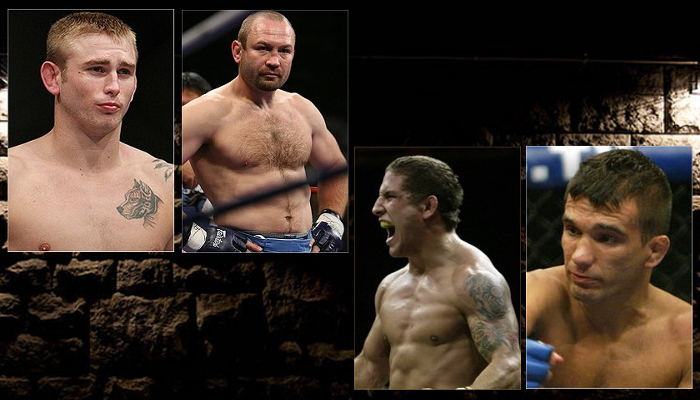 See the current UFC 133 line-up after the jump. With UFC 132 done, it's time to give the spotlight on UFC 133: Evans vs Davis. 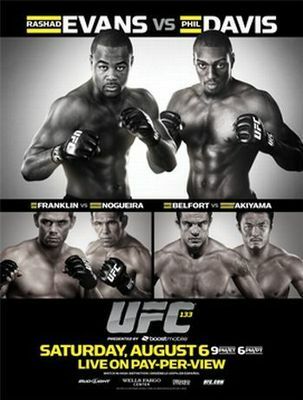 After UFC 132, the upcoming UFC 133 will be the next pay-per-view event that will have a UFC Prelims special on Spike TV. Although it is not yet set, a light heavyweight match between Alexander Gustafsson vs Vladimir Matyunshenko and a featherweight bout pitting Chad Mendes against Rani Yahya is said to air at UFC Prelims. The remaining preliminary bouts, on the other hand, are expected to stream on Facebook. UFC 133: Evans vs Davis will take place on August 6 at Wells Fargo Center in Philadelphia. 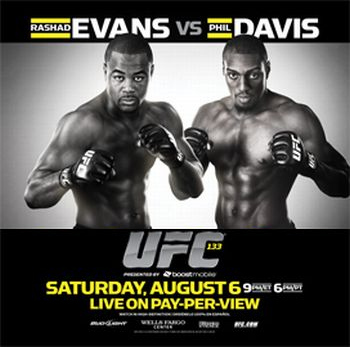 The upcoming tournament will headline a light heavyweight match between Rashad Evans and Phil Davis. Check out the UFC 133: Evans vs Davis Fight card after the jump.